Team Lightning is returning to the gym for indoor climbing! On the second Wendesday of each month from November - January, we'll have a limited number of discounted passes for indoor climbing from 7pm to 10pm at the Climb Nashville West location. That's right, you can get a day-pass and harness for just $12 (normally $23!). With updated routes almost every week, Climb Nashville is the go-to spot for new climbers and experts alike. 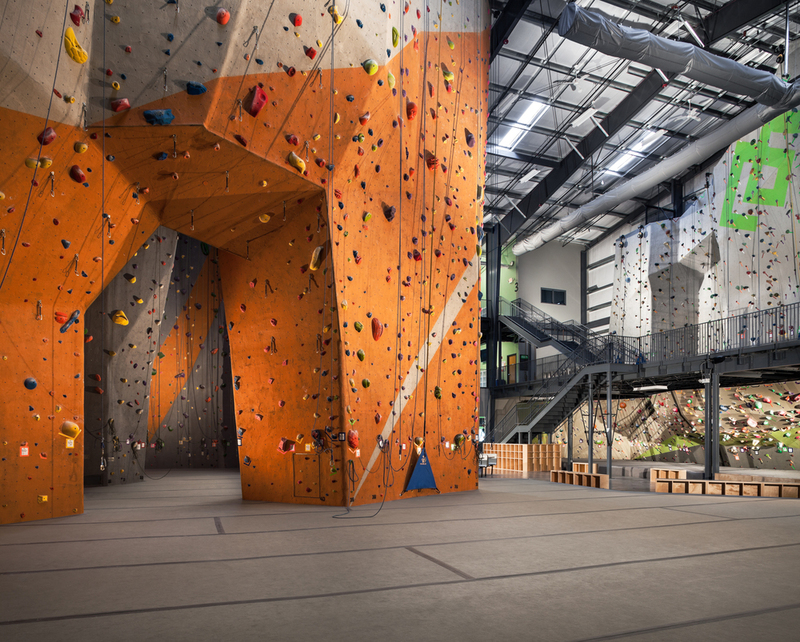 With over 20,000 square feet of climbing surface, the west location features 20+ vertical routes and a bouldering wall sporting routes ranging in difficulty from V0 to V8. Registration: MANDATORY! You must register in advance to lock in your discount! Climb Nashville is Nashville's premier yoga, fitness and indoor rock climbing facility. We offer classes, group events, memberships, and plenty more! While Climb Nashville West focuses on over 20,000 feet of climbing surface, Climb Nashville East is a premeire bouldering gym for those seeking an upper body challenge.